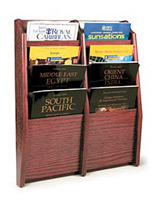 This red mahogany business leaflet rack stands out! 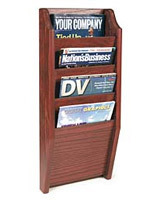 This literature displays have side-by-side pocket configurations. 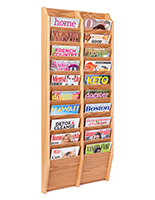 These units store tons of literature, even wider sized pamphlets. 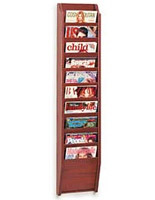 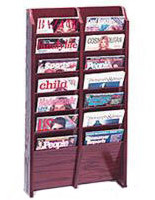 This red mahogany business leaflet rack for service or retail environments is also great for offices. 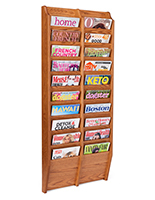 When in stock, these accessories can be same-day shipped! 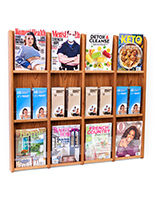 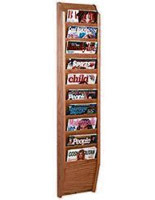 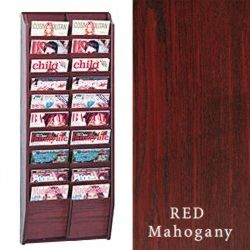 This red mahogany business leaflet rack, such as a catalog holder, has a unique finish that is even more interesting than oak finishes!